Swimmer, reality star... who is Ryan Lochte? Michael Phelps finally broke his silence on the Ryan Lochte scandal. The Olympian was leaving a Starbucks in Scottsdale, Arizona Friday when paparazzi stopped Phelps to ask him about Lochte-gate. E! News has obtained the footage where he weighs in on whether his fellow teammate will be able to put this controversy behind him: "We have good people taking care of it, so hopefully." Phelps arrived back in the United States on Wednesday after winning five gold medals and one silver in Rio. 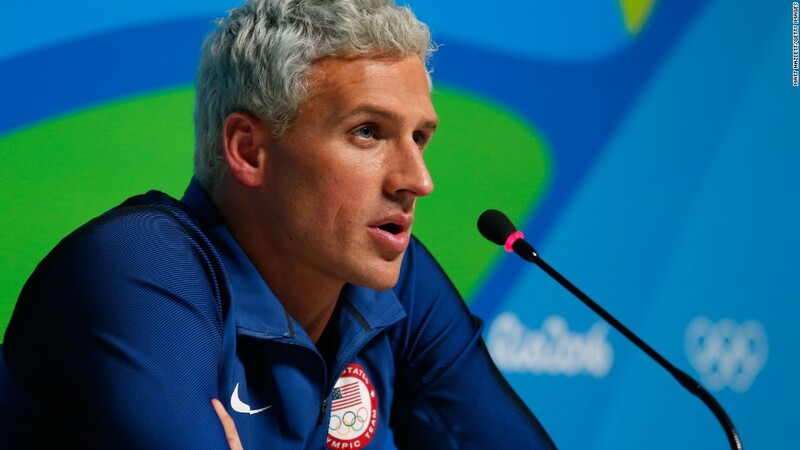 Meanwhile, Lochte,32, issued an apology on Friday for his "behavior" at a gas station last weekend. "I want to apologize for my behavior last weekend -- for not being more careful and candid in how I described the events of that early morning and for my role in taking the focus away from the many athletes fulfilling their dreams of participating in the Olympics," he said in an Instagram post. "It's traumatic to be out late with your friends in a foreign country -- with a language barrier -- and have a stranger point a gun at you and demand money to let you leave, but regardless of the behavior of anyone else that night, I should have been much more responsible in how I handled myself." The apology comes after Lochte's fellow teammates, who were with him the night of the incident, gave sworn statements stating Lochte was drunk and misrepresented what actually happened, according to police. Lochte originally claimed that their car was pulled over at gunpoint by men posing as police officers. In his apology he does not retract his initial statements claiming they were robbed. Even more damning, surveillance footage showed the men arriving back to the athlete's village after the incident in good spirits. "On behalf of the United States Olympic Committee, we apologize to our hosts in Rio and the people of Brazil for this distracting ordeal in the midst of what should rightly be a celebration of excellence," the US Olympic Committee said in a statement. E! News is set to air the rest of Phelp's comments tonight at 7pm ET.